Last night I bit the bullet, so to speak, and decided to try my hand at chain plying. 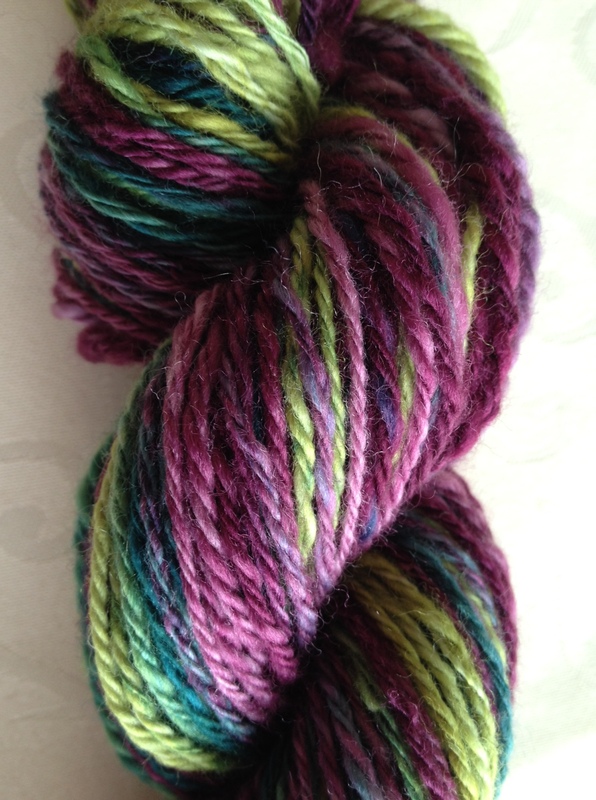 I had a single that I had spun from this superwash merino and I was intent on trying to preserve the colours. The single sat for a few weeks while I balked at the idea of trying a new technique, and a few nice spinners on Twitter recommended this video to help me along. Last night I pulled out some bits of singles that my friend, Val gave me and made an interesting discovery. Chain plying is not for the faint of heart yarn. A few of her singles were good and sturdy and plied beautifully, but several others were softer and finer snapped at every single attempt to ply them. As luck would have it, my single was either sturdier, thicker or both because while it snapped twice in two very very thin spots, overall, it plied well. I also noticed something else that, as a newbie, is likely not unusual but for experienced spinners is not an issue. 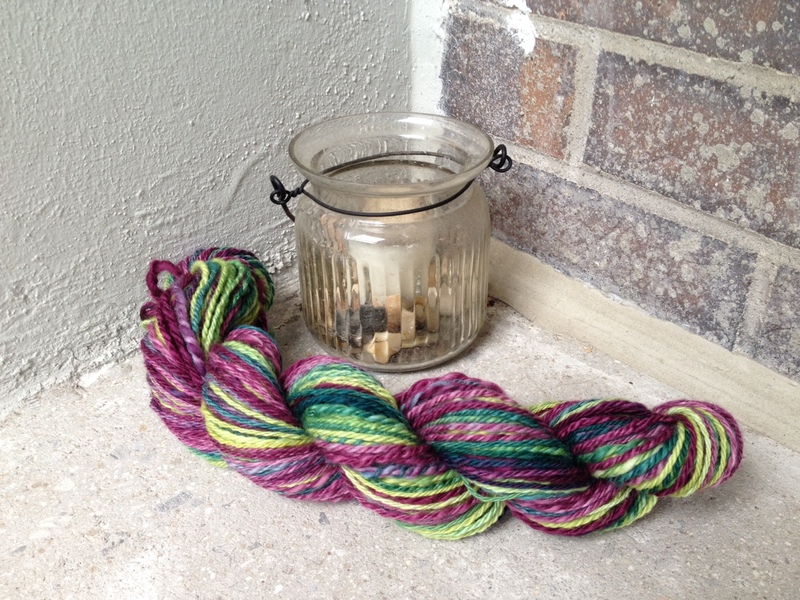 As I plied off the bobbin with the finished single, my yarn got increasingly less “nice”. 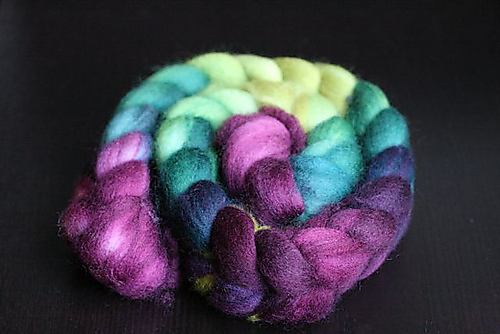 It got thicker, and slubbier and had more underspun spots, the closer I got to the start of my spinning. Since this was the first thing I had spun in over a year, this is not really surprising. 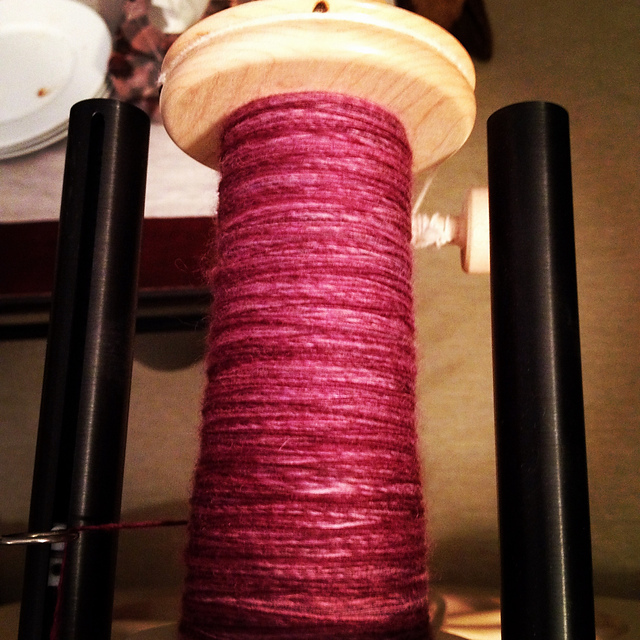 In fact, it’s sort of motivating as I could see, in the span of an hour of plying, just how far I had come in the week or so that it took me to spin that single. Overall, I am pretty happy with it. This entry was posted in Uncategorized and tagged alltheprettythings, fiber, fibre, handspinning, lendrum, merino, plying, roving, spinning, top by Rayna. Bookmark the permalink.